The inspiration for NZ's ‘Hero Awards’ comes from a similar honours roll in the Philippines - the Filipino of the Year - conferred by the editors of the Philippine Enquirer newspaper. Filipino Migrant News' ‘Filipino-Kiwi Hero of the Year 2017’ is Lito Banal. We believe that Lito Banal is a model Filipino-Kiwi as his achievements and contributions to our tight-knit community straddle so many areas. In 2014 he was given the Filipino-Kiwi Hero Award for ‘Pinoy Business Leader of the Year’ for his efforts to revive and provide dynamic leadership for the fledgling NZ Philippines Business Council. Today, the Council under his leadership is a beacon for forging business and trade links between the two countries and for mentoring programs for the development of our young professionals and business people. He has been the Chairperson of the Council for over six years. One of his recent accolades was winning the 2016 ANZ Migrant Business Award; the first Filipino to ever win this prestigious award. A proud Capampangan, he came to New Zealand in 1988. Having overcome some of the challenges new migrants face in a new country he made strides in business life and became a Director of several successful companies in New Zealand. 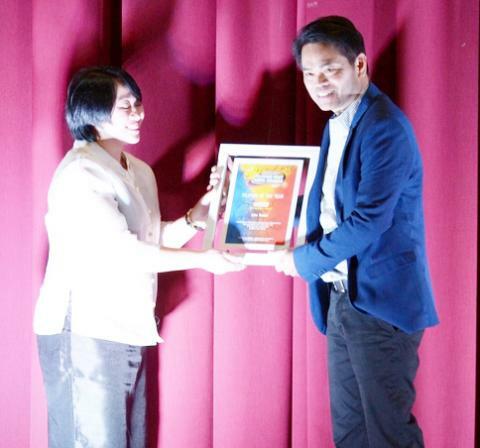 He has been an active member of several Filipino community groups. He was a three-term Chairman of the Auckland Catholic Filipino Chaplaincy (ACFC) for about ten years. To promote sports in Auckland he became the major sponsor of the ‘Lito Banal Cup Basketball Tournament’ (organised by the West Auckland Filipino Sports Association), which is now into its 11th successful year. Most recently he was appointed to the Board of The Street Children and Orphans Trust (SCOT). Despite the success he remains simple, humble and very easy to get along with ... Over the years his family has been ever ready to come forward to support Filipino community events, activities and several charities. 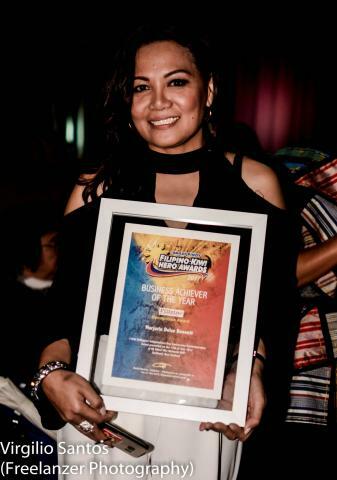 In 2007 Marjorie opened her own small Filipino restaurant - Pinoy Turo Garden Restaurant - which has grown and is now one of Bahrain's best established and recognised Filipino restaurants. She moved to New Zealand with her Kiwi husband Stuart in 2013. Marjorie assessed the local market and identified the need for a top class, authentic, Filipino cuisine restaurant, resulting in her starting the acclaimed Boracay Garden Restaurant in April 2016. She met with President Duterte and his government officials during their visit to Auckland. Boracay Garden Restaurant provided catering for the government officials during their visit.